it seems that about once every year I go into my serious baby quilt making mode and that time has arrived. this quilt will be for the baby girl of a close family friend. I found this fairy tale panel several months ago, and just love it. I know I say this alot, but I really LOVE baby quilts, they are so fast which leaves NO time to get sick of the quilt. This quilt is so sweet! I think I have to order me one of those panels!! I may need this panel too. Super cute! 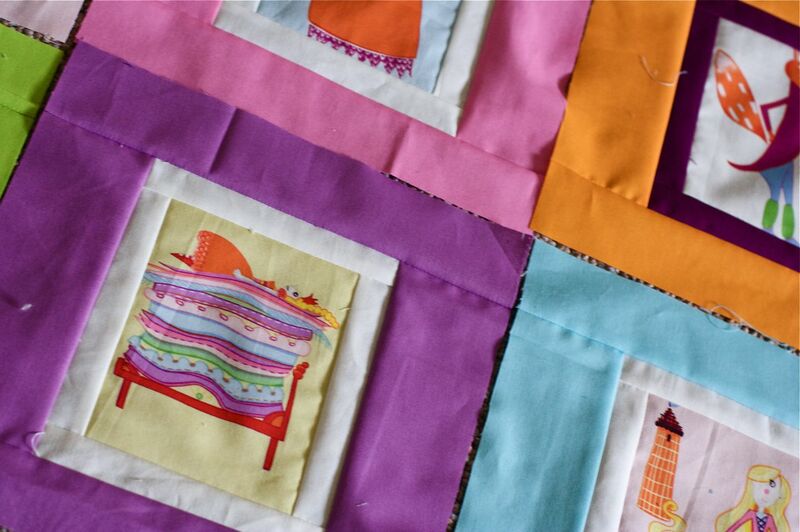 :) Baby/child quilts = instant gratification in my book, too. That fairytale panel is very cute. This is going to be a really sweet quilt. What a great quilt -- that panel is so cute. What a sweet little quilt! I love the fairy tale blocks - what a cute way to use them! that is a really cute panel - I've never seen it before. Now I'm going on a hunt!!! oooh Princess and the Pea fabric! I love it! I'm making my first baby quilt soon--I can't wait! That quilt is really adorable. Such a lovely idea for a quilt. I love those panels. Im still dreaming of making my first quilt. This is a super cute quilt...what lovely panels! Yep, I had to order that panel now too! Too cute!! Very cute! The panel is adorable. Quick projects are just sometimes what we need! Baby quilts are one of my favorite things to make. This one is great with lovely colors. 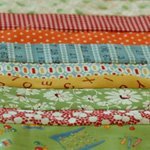 You'd never guess it, but I Love Baby Quilts too! I can't wait to see the finished fairy tale quilt. Excellent and creative way to use a panel. To.die.for.cute! Thanks for posting the link for the panel.